A story revolving around a woman from the 21st century who time travels into a world filled with handsome men vying for her attention, and she remains oblivious to the start of a huge conspiracy. One day, Lin Luo Jing (Zheng Jiaohong) wakes up in the ancient times as the daughter of the prime minister. She enjoys the company of many suitors, yet it hasn't even been a day since her arrival and the Emperor has decreed for her to be married to another. Thinking about how lonesome life would be being tied down to one man, she plots to escape her own wedding. She also discovers that in order to get back to the present day, she must make her way to the hero in the game. 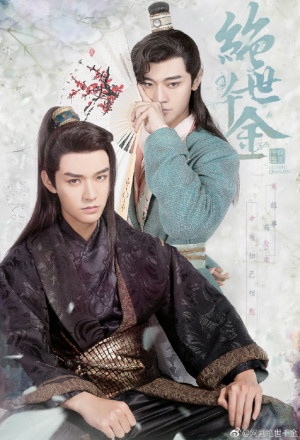 In her journey, she encounters the headstrong Zhong Wu Mei (Gong Jun), the gentle imperial guard Liu Xiu Wen, the wealthy son of a businessman Jiang Xuan Yu (Fang Yilun), the prideful Hua Ying Chi (Li Hao) and the diabolic Wang Jin Chen. Only after many trials and tribulations does she realize where her heart truly lies.